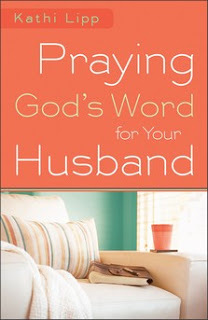 Back in June I reviewed a book that I really enjoyed called Praying God's Word for Your Husband. I truly love this book and the encouragement that author Kathi Lipp provides to wives when it comes to praying for our husbands. I must confess, life has felt a little bit overwhelming as of late...I don't know if it is the house projects, that it's the middle of winter, that the kid's schedules seem to be increasingly busy and full with school stuff and birthday parties (yes, even at this young age! ), that Scott's job is busy, that I'm pregnant with our third child...Do ya think maybe it's a little bit of all of the above?! In the midst of it all I often find myself surprised and challenged by the fact that there is little time left left to connect and talk with Scott about even the daily or the mundane things (schedules, time management, who needs to be where and when), much less engage about anything deeper. Does anyone else ever feel this way? In Genesis 2:18 God says (right after he created Adam), "It is not good that man should be alone; I will make a helper suitable for him." I love that verse, though I often feel like anything but a helper. I usually feel like I need some extra helpers myself (like someone to help me shop and cook and clean and dust and vacuum!) I find myself hoping he might be able to help me out with the stuff around the house, instead of the other way around....I do sometimes, especially in light of rereading that verse, find myself asking, Is there ANYTHING I can do to be more of a helper to Scott? I know that if my husband is reading this he just stopped in his tracks and furrowed his eyebrows as if to say, Really?!! You ask yourself that?! I would have NEVER guessed. Truly honey, I do ask myself these questions...even though it may not seem that way sometimes! That said, this book is the answer to that question. There IS something you can do, even in the midst of feeling stretched and completely consumed by the busyness of the daily life of raising young children and trying to maintain some semblance of order in your home. You can use this book, section by section, bit by bit, to begin praying for your husband WHILE you are washing the dishes and running the kids to dance and gymnastics and hockey practice. You can do it right before you go to bed or while you are waiting in the carpool line. You can do it on your commute into work (if you have one) or while walking the dog. 1) Get a copy of this book (here is a link on Amazon). 2) Take a day or two to familiarize yourself with the chapters and read the introduction. 3) Stick it right next to your Bible and at some point each day (or at least a couple of times a week) pick it up and read a short page or two. 4) Commit to praying for your husband throughout the day when you think about it instead of trying to "make" more time or squeezing something else into your day. As Kathi says in Chapter 1, "God is not looking for us to impress him with our prayers, but he does want us to be open to letting him impress our hearts. He delights in simple prayer." I must confess, I think I was a better wife before I became a mother. Does that feel true for anybody else? It's not that I don't want to be a good and helpful wife, it's just that on many days, when ALL else is done, it doesn't feel like there is a whole lot of time or capacity left. However, while there are many days when I feel like there is no energy left for deep conversation, no time for the walks we used to take holding hands, no money left to buy fancy guitar or rock climbing equipment to let him know that I support his interests, and no time OR money OR the wherewithal to don the proper attire to eat at a classy restraunt....While I may not be able to do any of these things in this season of life, I can pray and I can pray deliberately and wholeheartedly in all seasons of life. Here is the really exciting news! After I read and reviewed this book in June, I found out that Kathi would be speaking at the blogging conference I attended in October. I tracked her down with my battered and dog earred copy of "The Me Project", asked for a signature and had a delightful conversation with her. I even got to sit at the same table with her at dinner the following night (That was exciting in my little writer momma world!). She was SO sweet that she gave me two extra copies of this book to giveaway to several of you this week as part of a blog tour that they are doing!!! Yippee!!! To be entered to win all you have to do is leave a comment below (or on my Little Writer Momma FB page underneath the link to this post if you are not signed up to leave comments here) telling me why you'd love a copy of the book. 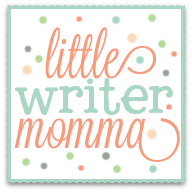 I will draw two winners Friday night and post their names here and on my Little Writer Momma Facebook page on Saturday morning! 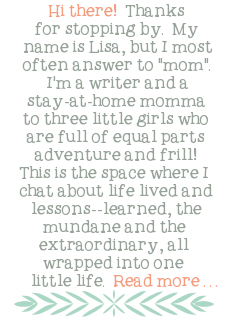 About the Author: Lipp is a writer, mom and passionate woman who I have come to admire through other books (The Me Project: 21 Days to Living the Life You've Always Wanted is one I read last year) and many of her articles I've read in MomSense Magazine and online. She is funny, down to earth and in writing this book provides an invaluable resources to every woman who wants to bless her husband. 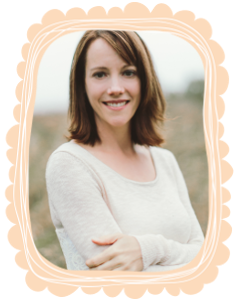 She is also the author of several other books including The Husband Project, The Marriage Project and The Get Yourself Organized Project (whew...you'd think she's been watching my life secretly and putting these books out just for me...I think I need all of those!). Leave a comment below! Can't wait to hear from you! This came to my attention at a perfect time- I've had a few prayers for my husband going at the same time, and praying Scripture is always incredibly powerful. I am totally hoping I win it. The title alone has me interest! I am going to start memory verses with Brooke & this would be a good way for me to put it into practice for myself! This came to me at the right time in my life as well. My husband is dealing with many family issues and I really need some advice on how I can help him as his wife. Lisa - forgive me - my hubby had surgery last week and it's all a blur. Thanks for your good work on this. You are a talented writer and encourager. Bless you!